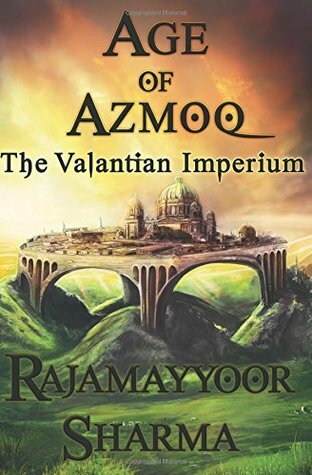 This is a book from the debut author, Rajamayyoor Sharma. Thank you Blogadda for dispatching the book to me for review. This book belongs to the fantasy genre, which is new for me. Beginning from the impressive cover to the concise but engrossing excerpt, the mesmerizing title, the introduction of the book in the first few pages, and the content from the beginning to the end is something that keeps one holding throughout. The title itself makes you curious to know what lies inside the book. It feels like you will be taken into a world from a different age. The author is an Engineer and an MBA. There are very less Indian authors who choose genres other than chicklit and teenage romance. The author has self published his book. The book published in Jan 2018, spans approximately 500 pages. I have observed that even big writers use tricks of unnecessary blank pages between the chapters and bigger fonts plus extra margins to make their book look thicker. But this particular book is all about honest content from a fresh mind. Writing fantasy needs a lot of wit and imagination. The un-put-down-able, enticing fiction is indeed heart winning. On the first glance, it reminds you of GoT. While you read you dive into the world the author has created, and start living the characters and the locations. This being a refreshing read, is scientific too. You end up entering into the world of Valantia while reading it. The characterization is witty and mysterious. Dialogues are simple yet realistic. To read such books you do not need to be logical, but imaginative. The more you imagine, the more you enjoy. Use of one liners frequently, makes it even more interesting. Description and story telling is worth reading. The characters are relatable, inspirational and uncomplicated. They tell you about the characters exactly as much as it is needed. The world that is designed in the story is in no manner inspired from the real world. The plot unfolds gracefully, first forming a basis in the readers mind and then weaving the rest of it gradually. The methodology of writing footnotes is one of its kind. The war scenes are well written. Description of weapons is well written. The writer has given maps and illustrations which have been interesting at times. Words are chosen meticulously. However, I feel that some scenes could have been cut short. I am looking forward to reading the subsequent versions as well. In fact, being a movie buff, I wish if they make a movie inspired by this novel. I recommend it for all the fantasy lovers who want to refresh their minds and hook themselves to the fantasy world. This book is meant only for those who are far away from the cheesy romance Indian books, and are up for some international standard intelligent plot. I rate it 4 on 5 and wish the author best luck for the success of his hard work.